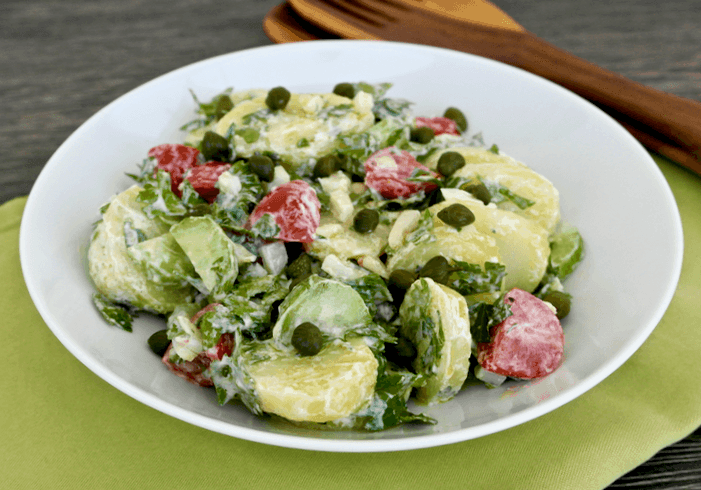 Summer is potato salad season, what with the heat, barbecues and picnics, it’s an ideal side dish. But I’ll have to admit, I avoid it when it’s full of mayonnaise, I find it too heavy for the summer. 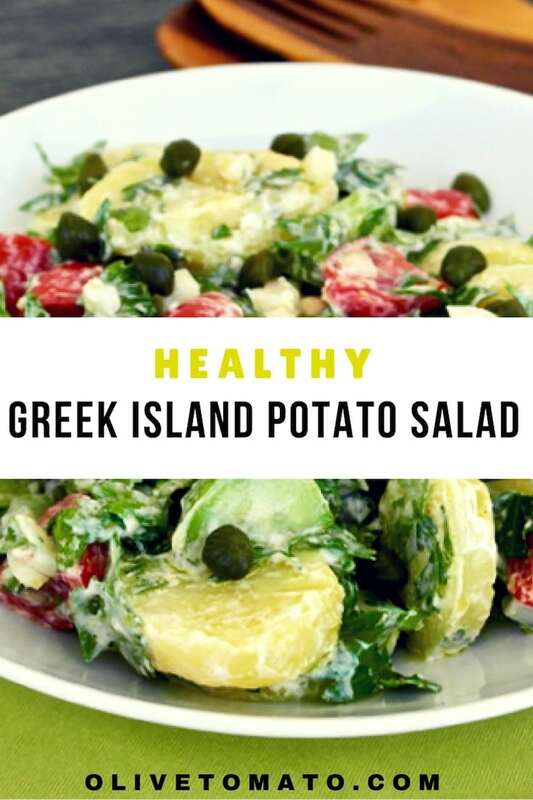 Having said that, the traditional Greek potato salad is lighter than the American type. It is vegan and typically made with an olive oil-vinegar dressing. 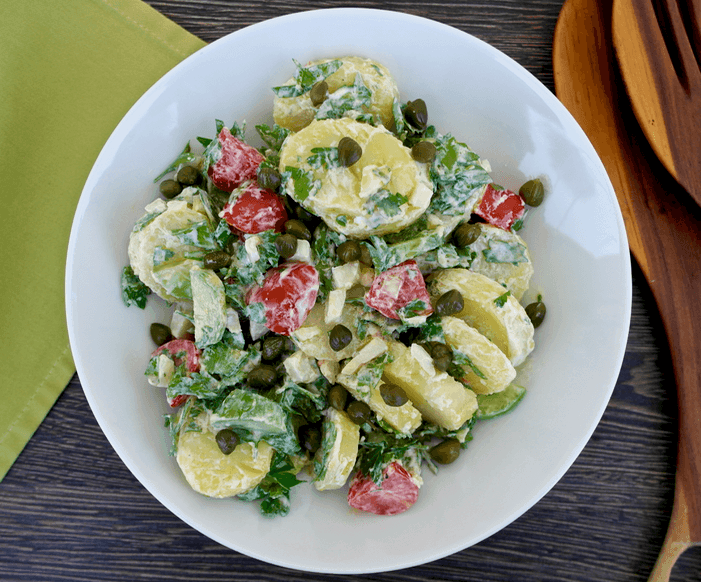 Apart from the classic Greek potato salad, there are several variations across Greece and this one inspired by the Aegean Greek islands is more of a vegetable-potato salad. Not only do you get the goodness of potatoes, you also get plenty of vegetables too. 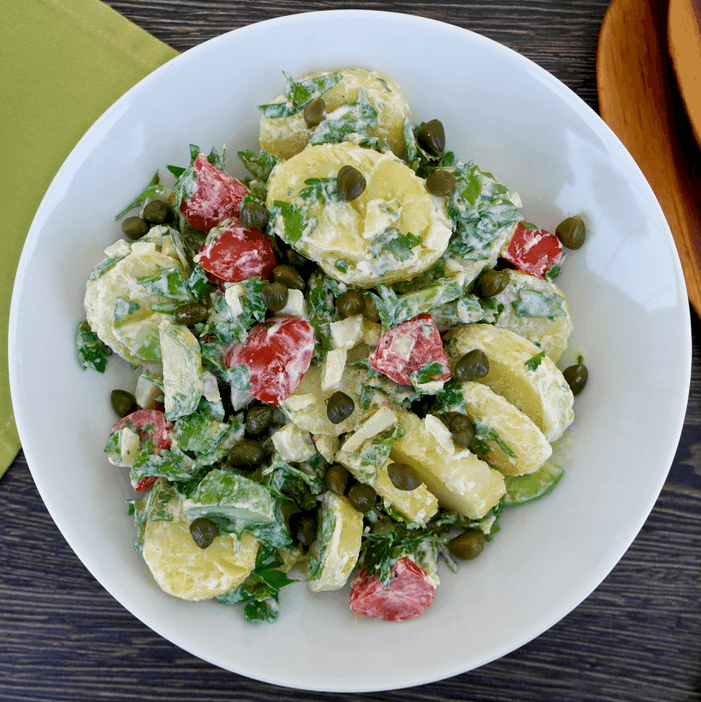 It includes parsley, tomatoes, cucumbers and onion and a sprinkle of yummy capers. 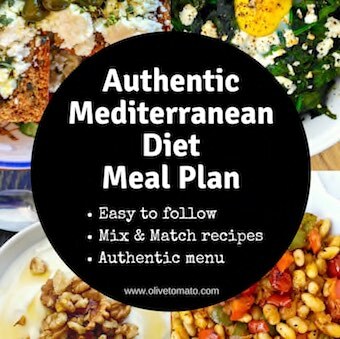 The dressing is made with Greek yogurt to add a creaminess aspect to it, but you can also only use an olive oil dressing for a vegan version. 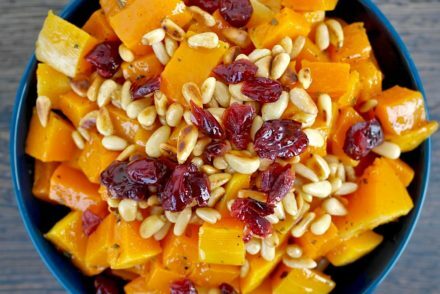 This salad will be quite filling as it has plenty of summer vegetables providing fiber and a slightly different flavor profile. Using yogurt instead of mayonnaise also saves on calories and saturated fats. 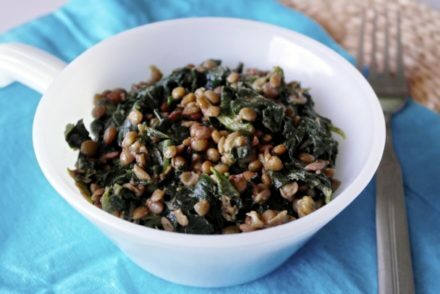 The recipe makes enough for 4-5 generous side servings, but I think it is great just as it is for lunch. Wash potatoes. Place in a pot with cold water and bring to a boil. Lower heat and simmer for about 20 minutes until potatoes are fairy easy to pierce. Strain in a colander. 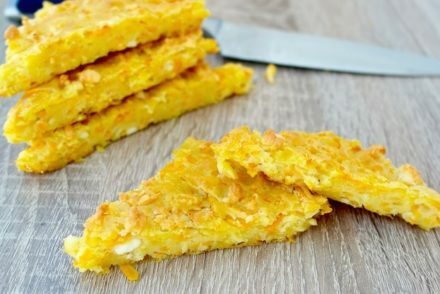 Let them cool off and then slice them (skin will come off easily). Place in a large bowl and set aside. Make the dressing by mixing first the vinegar with the lemon juice, then whisk in the olive oil and at the end add the yogurt ,mixing until smooth. Add the cherry tomatoes, cucumber, chopped parsley and onion to the potatoes and gently mix. Add the dressing and mix, making sure all the ingredients are covered with the dressing. Before serving sprinkle with the capers. This looks delicious. Thank you! I believe I had a salad like this in Milos but with a mustard lemon dressing. Which potatoes do you suggest? Thanks!! Hi Diana, Medium starch potatoes would work fine, like Yukon.